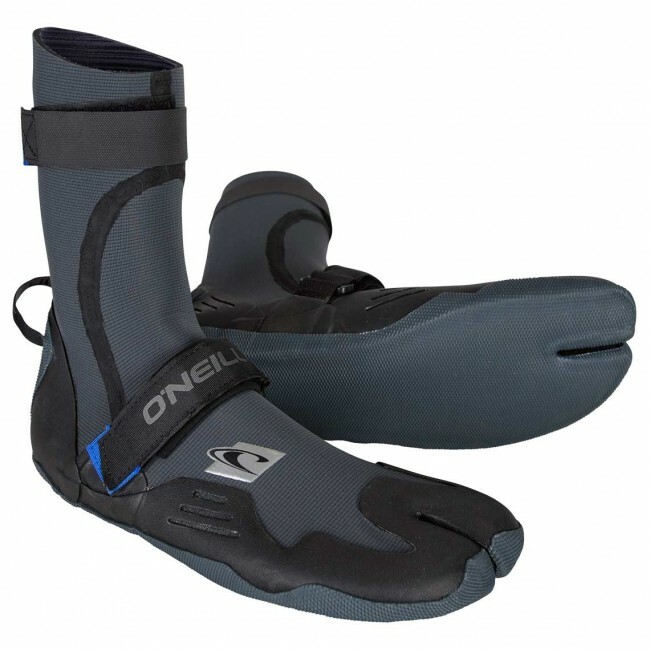 Slide on the O'Neill Psycho Tech 4/3 Split Toe Boots for complete comfort and solid protection. Made with plush Technobutter 3 Neoprene for a soft and cozy footbed, and then sealed both inside and out, these premium cool water surf booties save your feet from getting chilly between sets. Offering a performance sensitive split toe design, two velcro cinch straps, and a hearty pull tab, the Psycho Tech Split Toe Boots are snug without being restrictive. If you want a surf bootie that can provide a true foot to board connection and still remain super warm, a pair of Psycho Tech Boots deliver it all in one durable, lightweight package.